This herbal fruit-based cleansing milk is enriched with the goodness of orange, lemon, strawberry, mulberry, papaya, cucumber and kiwi, along with the much required AHAs. It is non-toxic and imparts a healthy glow and radiance. 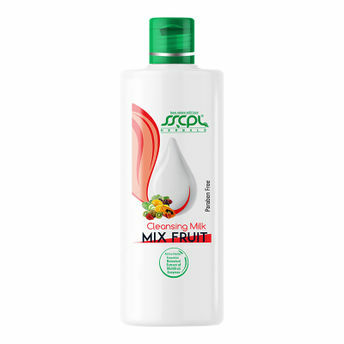 The mixed fruit cleansing milk can be used daily as a skin nourishing cleansing milk for all seasons and all skin types. It lightens the skin tone and neutralises free radicals to delay signs of ageing. The natural ingredients in it protect against harmful rays of sun, preventing sun damage. It helps reduce skin-tanning, dark circles and improves overall skin complexion and makes it soft and supple.